Whether on the roof or on the ground, you can place solar panels in the sunniest spot on your property so that you can generate the most possible solar energy. If you look around, you'll see both rooftop and ground-mounted solar arrays, and each type has its advantages. Rooftop panels fit seamlessly and protect a roof from the elements. Rooftop is also quicker to install. However, if your roof has a lot of shade, a ground-mounted system in a sunny location may be better. A rooftop system can only be as big as your roof, but a ground-mounted system can be much bigger, and you can align a ground system for the best exposure to the sun. As far as costs go, there's very little difference between the two options. If you're thinking about solar, you're likely to see advertisements for "Do-It-Yourself" systems and think that you may be able to save some money by becoming your own solar panel installer. This is definitely a bad idea for many reasons, including safety. Doing it yourself may sound good, but it carries many dangers and drawbacks. Remember, solar energy systems are producing electricity, and if you don't know what you're doing, working with electricity is very dangerous to both you and your home or business. 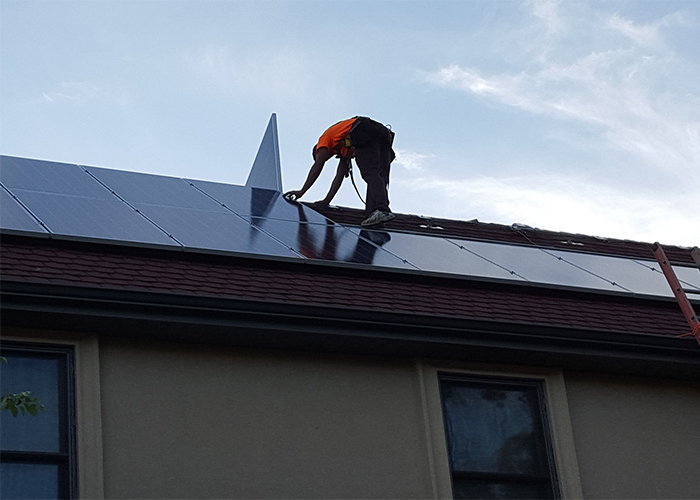 Another problem with a DIY system is that unless a licensed solar contractor installs your system, you may not be eligible to connect to the electric grid or to receive energy tax credits and rebates, and without those benefits, you may not save any money at all by installing your system yourself. Installing a system yourself is likely to result in voiding your warranty because many warranties are valid only when licensed professionals do the installation. A solar energy system can save you money for decades to come, so call Trifecta Solar to learn all about it and to have your system sized properly and installed safely.